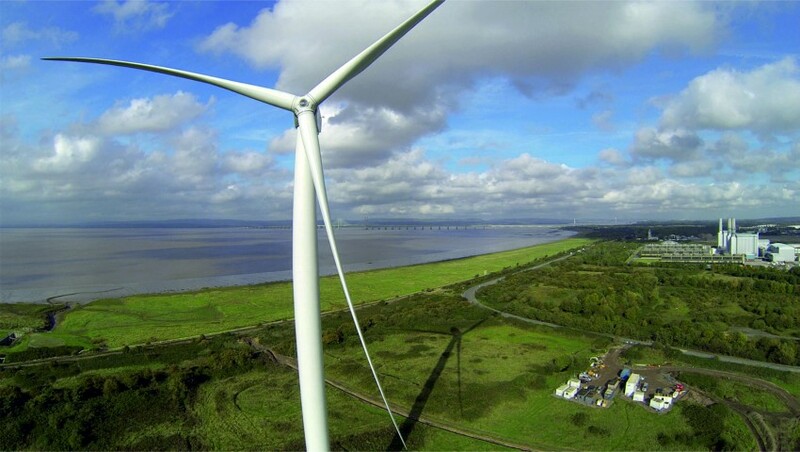 In 2009 planning permission was granted to build two wind turbines on the former Shell Tank site in Avonmouth, Bristol. 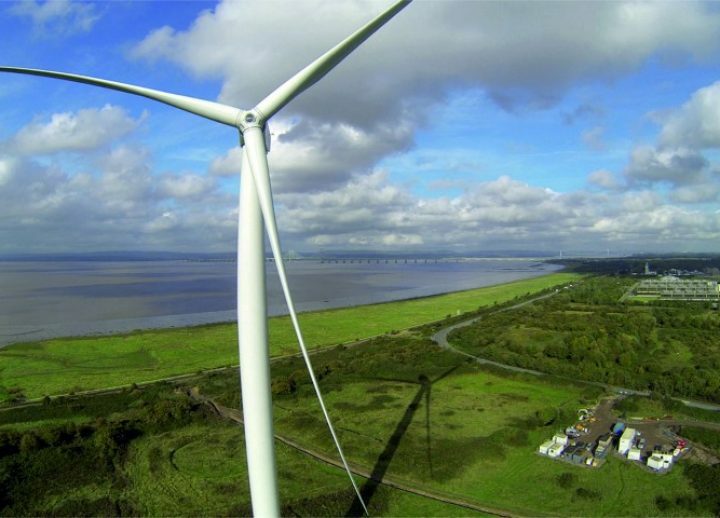 The project, which is the first Council owned Wind Farm in the UK, aims to produce green electricity reducing the city’s carbon footprint and demand on the national grid. Large-scale wind power is the most highly developed, sophisticated technology and is the most cost-effective, achieving the best possible carbon dioxide savings per pound spent. 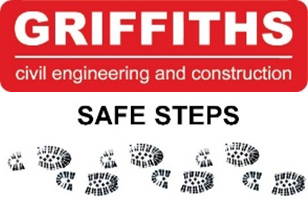 The Project comprised of the detailed engineering investigation, design and construction of the Balance of Plant Works including highway works, site haul roads, crane pads, foundation works, earthworks, electrical works and switch gear building. 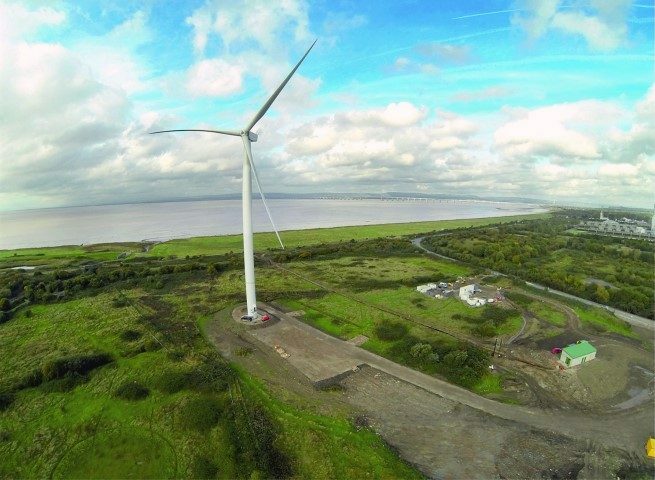 The two Nordex N100 2.5 MW rated turbines were chosen to fully harness the specific wind conditions at the Avonmouth site. Once connected to the vertical hub each turbine will stand at 130m tall and rotate at speeds up to 125mph. It is estimated that the two wind turbines will produce between 13,140 and 14,400 MWh of electricity per annum. This is approximately enough to meet the average annual electricity demand of 3,000 homes and prevent the emission of 6,000 tonnes of carbon dioxide per year. Each turbines sits upon a 3m deep reinforced concrete foundation, the shape of which was value engineered from an octagon to a cross reducing the concrete required from 600m3 to 400m3. Due to poor ground conditions onsite each foundation is also supported by 17 No 900mm diameter bored concrete piles approximately 27m deep. A single storey Control Building was constructed and consists of 2 No. Control Rooms, 2 No. HV Switch Rooms and 2 No. meter rooms. Haul roads and access improvements were also made to allow for delivery vehicles ranging in size up to 50m long. Throughout the project Griffiths worked closely with an Ecologist in order to protect a large number of slow worms that were present onsite. “Receptor Areas” were created using reptile fencing and monitored daily. All operatives were trained in safe working methods in areas of reptiles. Close liaison was also required with the Local Authority due to a Government oil pipeline running adjacent to site. Regular vibration monitoring was undertaken to ensure the pipeline was not compromised with results relayed to the Client. The Avonmouth Wind Farm is considered a flagship development by the council, setting a good example to residents and actively promoting sustainable energy.